If we give a deep thought, then do you think our ancestors would have ever imagined that we humans would make it to space one day. The early man invented the wheel which was a huge achievement for them at that time. But beyond everyone’s imagination, we are now living in an era where we have the potential to convert our thoughts and dreams into reality. Technology is a blessing to the people living on this planet and there is no doubt that our technocrats are making throat-cutting efforts in the field. Elon Musk, the founder of SpaceX started his journey with a dream of revolutionising the future of commercial Aerospace in his eyes. And today his groundbreaking efforts are shouting very loud across the globe. Falcon Heavy the world’s most powerful rocket invented by SpaceX had a successful launch on February 6, 2018. 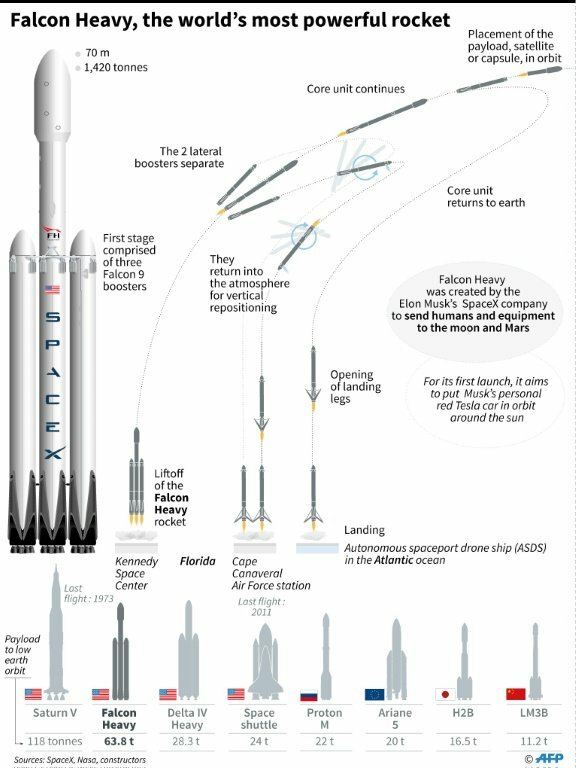 Falcon Heavy possess various features which were beyond the imagination a few decades ago but Elon and SpaceX together made it possible for all of us. The CEO and Founder of the company, Elon Musk is a South-African born American entrepreneur and businessman. The journey to the successful leading of SpaceX was not an easy one for Elon. He gave a kick to his journey in 1995, laying the foundation of his first company Zip2 which was the first taste of success for Elon. But this success was not huge enough to stop the unbeatable winds which were about to come. Elon was not satisfied with that success and aspire to achieve more. Therefore in 1999, he co-founded X.Com which after an acquisition became PayPal. It is an online financial services and payments company. Later in October 2002, the company was acquired by e-Bay for $1.5 Billion. Elon before the sale of the company was the owner of 11 percent of the company’s stock. The acquisition of the PayPal left Elon with nothing but just $150 million in hands. Though he had an opportunity to live his entire life with all luxuries with the help of this huge amount. But this was not it for Elon. He took a huge risk and invested this money in the foundation of SpaceX and Tesla. $100 Million was invested in SpaceX and $80 million was utilised in the foundation of Tesla. Space Exploration Technologies Corp., SpaceX was the third company founded by Musk.The only dream he had in his eyes was to build aircrafts for commercial space travelling. SpaceX is a Private American Aerospace Manufacturer and Space Transport Services Company. The company design, manufacture and launch advanced rockets and spacecrafts. The foundation of the company was laid in 2002 by Elon Musk with a mission to revolutionize space technology. The ultimate goal of the company is to enable people to get an exposure to other planets and experience their dream lives. SpaceX launched its first Rocket in 2006 which exploded within just 33 seconds after the lift-off. This was a huge loss to the company and someone could have hardly cope up with such an event. But Elon was a risk taker and within a year he planned another launch in 2007. But the stars were not in favour of him this time as well. The launch was again a disappointment for the company. The engine of the Rocket shut down completely and thus it failed to reach the orbit and added one more failure in the box. No one was expecting the company to recover from two consecutive failures. But on the contradictory part, Elon Musk was ready to take the risk for the third time. This third launch took place in the year 2008 which again joined the queue of an unsuccessful conclave. Three consecutive failures almost killed the company. SpaceX was left without any funds and everyone was assuming that the company would soon shut down. But this time destiny had some fortunes for Elon in hand and the company received its first outside investment from a billionaire investor Peter Theil. With this investment, the company recovered through the constant three losses and then came a series of successful launches for the company and SpaceX profitably turned around the table. On September 28, 2008, the company launched its first successful rocket ‘Falcon 1 Flight 4’. This launch was a huge achievement for SpaceX and the company finally grabbed the attention of the public and other government aerospace organisations. Falcon 1 Flight 4 thus revolutionised the history of the company. After a journey full of various ups and downs, SpaceX made some consecutive successful launches. Among all the rockets, ‘Falcon Heavy’ launched on 6 February 2018 became the strongest rocket in the world. At 3:45pm (EDT), Falcon Heavy thundered into space from 39A at the Kennedy Space Center in Cape Canaveral, Florida. The launch left a fleet of happiness on thousands of faces. The concept of Falcon Heavy vehicle was initially discussed in 2004 while the plan was unveiled to the public in the year 2011. The first test flight of the rocket was expected in 2013 but various factors delayed the launch by 5 years to 2018. Falcon Heavy is derived from Falcon 9 and possess a powerful central core with two additional first stages as strap-on boosters. It is the world’s fourth-highest capacity rocket ever built, after Saturn V, Energia and N1. The Low Earth Orbit (LEO) of the rocket increases the payload to 63,800 kilograms (140,700 lb) which was 22,800 kg (50,300 lb) in Falcon 9 Full Thrust. The major aim of designing the rocket was to carry humans into space including Mars and Moon. There are two major causes for Falcon Heavy being the most powerful operational Rocket. The rocket is capable to lift 64 metric tons into the orbit. The first stage of Falcon Heavy is composed of three Falcon 9 engine cores whose 27 Merlin engines together generate above 5 million pounds of thrust at the time of liftoff. This count is approximately equal to eighteen 747 aircrafts. The second stage is based on Falcon 9’s proven design which is capable of minimizing stage separation events and maximizing the reliability. The Merlin engine of this stage is identical to the counterparts of Falcon 9. This ultimately delivers the rocket’s payload to orbit after the main engines cut-off and the core of the first stage get separated. In order to place payloads into various orbits like Geosynchronous Transfer Orbit (GTO), Geosynchronous Orbit (GSO), the engine can be restarted multiple times. Another major specification of the rocket is its reusability. SpaceX has been working on to use such a technology so that the parts of the rocket are not wasted. The development of a reusable rocket was a major mission and challenge for Elon. Falcon 9 was also expected to be reused after the landing. But the results were opposite in that case. But this time Elon made it too. Falcon Heavy became the first reusable rocket of the planet and this has been the biggest achievement for Elon. Undoubtedly, the success of Falcon Heavy reversed the cards of SpaceX. However, in an interview, Elon Musk said that he was not at all sure about the successful launch of the rocket and was very nervous about it. He mentioned he was mentally prepared for the cons of the launch but the feeling was out of the world when he saw the rocket into space. 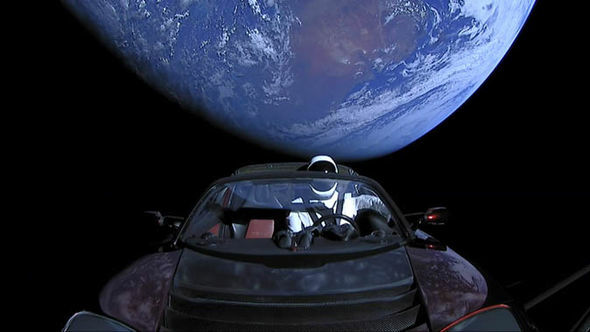 He also shot his Tesla Roadster into space along with a dummy named Starman behind the driver’s seat. The car was headed towards an elliptical orbit that will see it drift in space for hundreds of millions of years. As per the statement generated by SpaceX, they further have plans for Falcon Heavy launch with some modifications. However, it is too early to judge about the ongoing success of SpaceX plans. But considering the fears and chances of crash and explosion of the rocket the event completing with everything at perfect place must be considered a huge one. The company led by Elon Musk is now preparing for future launches, some include commercial contracts that could see the second launch in just a few months. All we can say is that the tough journey of SpaceX and Elon Musk is now reverting them back with some worth rewards. Well, if you really liked reading our blog post, please do like and subscribe us for latest updates and if you have any questions, feel free to drop them below in the comments section.